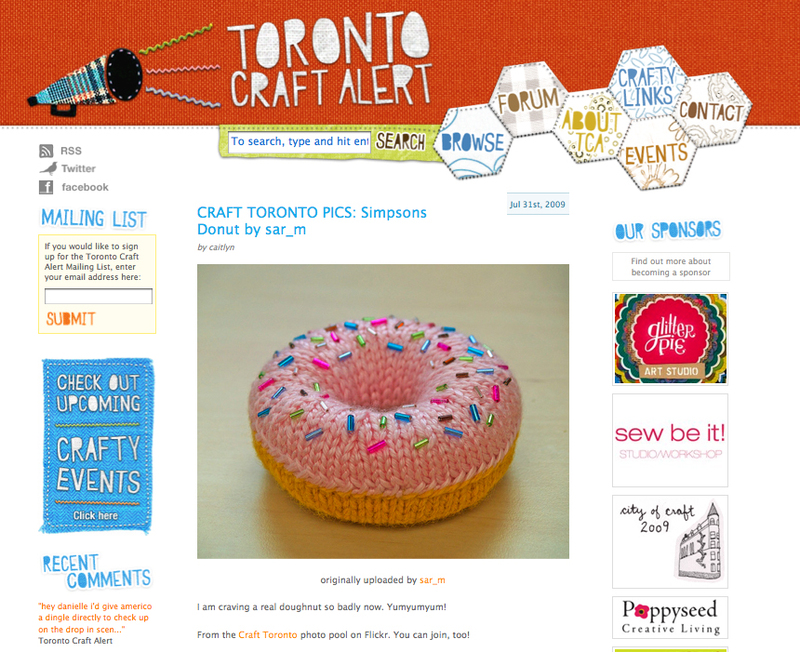 I was just perusing the Toronto Craft Alert website and found my Simpson’s Donut had been featured back in July! This cold/flu thing I have still has a grip on me. I only had a fever for about a half a day, but the sore throat is going on four days and my sinuses are stuffed solid. Oh woe is me. Anyway, this was a nice little pick me up, even if it was only discovered 3 and a half months late!